Who could be chasing you next in Dead By Daylight? The asymmetrical survival horror game is about to gain a new character….whats his deal? And where’d he get his cool katana? Behaviour Interactive has released a teaser for what they’re about to add to their game next. They’ve titled this video “The Next Chapter,” and at less than 50 seconds, it doesn’t give away much. 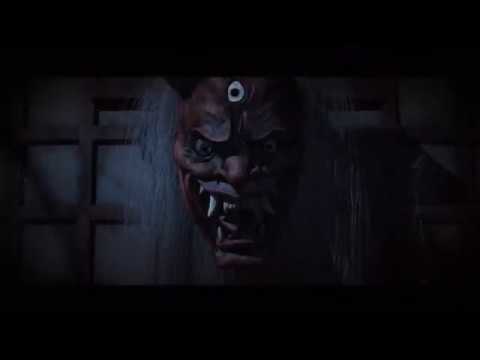 It strongly hints that a samurai killer is coming to the game, and that he may possibly be wearing the mask seen in the thumbnail. To date, Dead By Daylight has added twelve killers to its ranks, covering all genres from hillbillies to evil doctors to a giant pig. They have yet to go to the Far East for inspiration, but that appears to be next. Most recently, Dead By Daylight introduced a killer clown to its repertoire, as the centerpiece of a new DLC pack dubbed Curtain Call. This pack also introduced a new survivor character, a former singer named Kate Denson, as well as an in-game store. Dead By Daylight is now two years old and available on Playstation 4, XBox One and PC.